My favorite age thus far has been 8 years old. My little girl is always changing her mind on what she wants because of popup ads on Netlfix or Youtube kids. Gifts are hard for those kids that just don’t know what they want or feel they are “too old” for toys. 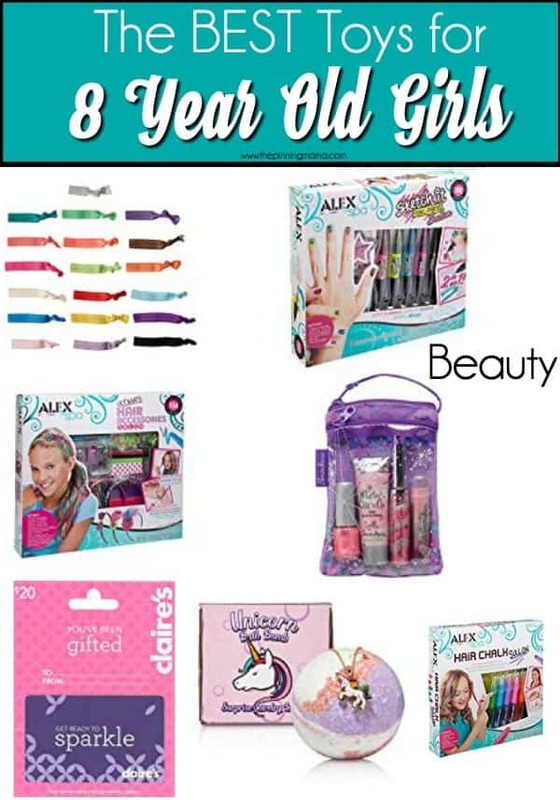 This list contains the BEST toys for 8 year old girls. I have searched high and low and interviewed my mom friends to find the most desired and loved toys for you. These gifts range from inexpensive to a little more pricey to fit everyone’s budget needs. Whether you are searching for the perfect birthday gift, or a sure to please Christmas present, you will not be disappointed when you look at this list. I have found toys to cover the needs of every girl. At this age, girls are figuring out who they really are. Sometimes I want to hold onto my daughter and not let her grow up, but unfortunately that’s not going to happen so we just try to make the most of every moment. My 8 year old absolutely loves crafts. Every time her and her friends get together, all they want to do is craft away. This age is when crafts are fun because they clean up their messes, and they can do them on their own. We really LOVE LEGOs at our house. My daughter saves up her money and buys sets all the time. Every birthday and for Christmas she is always asking for them. 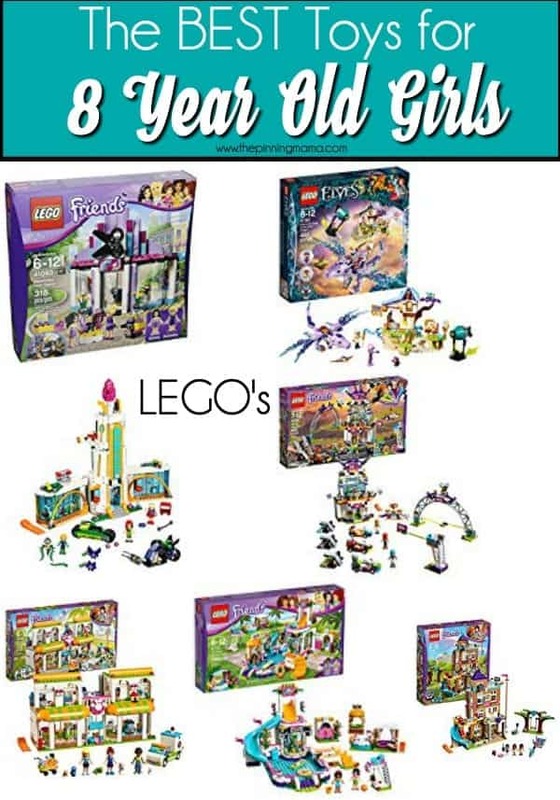 You will not go wrong with lego’s of any kind. These are also great because the price can range from inexensive for a small set, to something worthy of a big gift for a larger set. These are also great ideas to hand over to Grandma and Grandpa, aunts, uncles and friends since they are easy to find and come in a variety of price points. My daughter loves everything beauty related. She goes into Claire’s and is in heaven. She could spend hours and hours in the store looking at all the beauty products for girls. My daughter is also staring to get an idea of what she likes to wear or add to her outfit. You will find a list of her favorite beauty products. 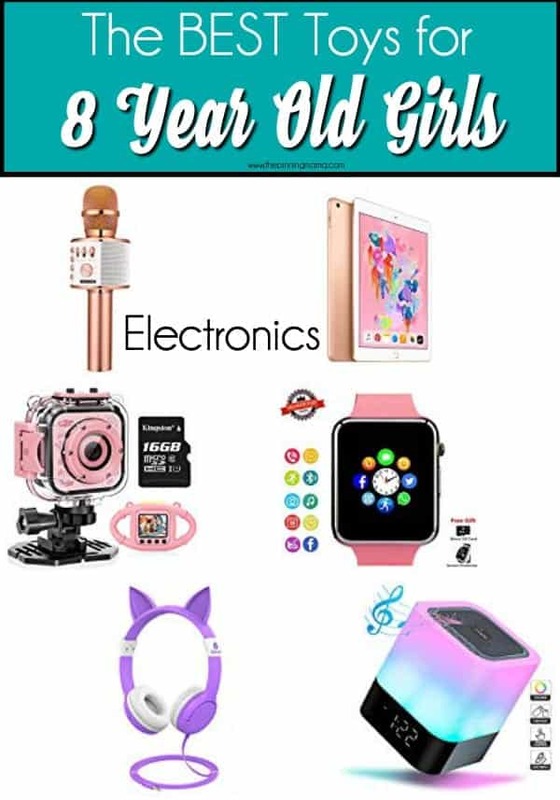 This list contains useful electronic toys for your 8 year old girl. My daughter loves her bluetooth speaker along with her bluetooth microphone. She loves to sing and listen to music in her bedroom. I love these portable speakers because they can go anywhere in the house with her. She can even take it outside to dance on the trampoline. Another toy she really likes is her waterproof camera. She is really into making videos and this is the perfect toy for her. She takes it to the swimming pool or mounts it on her bike as she rides around. 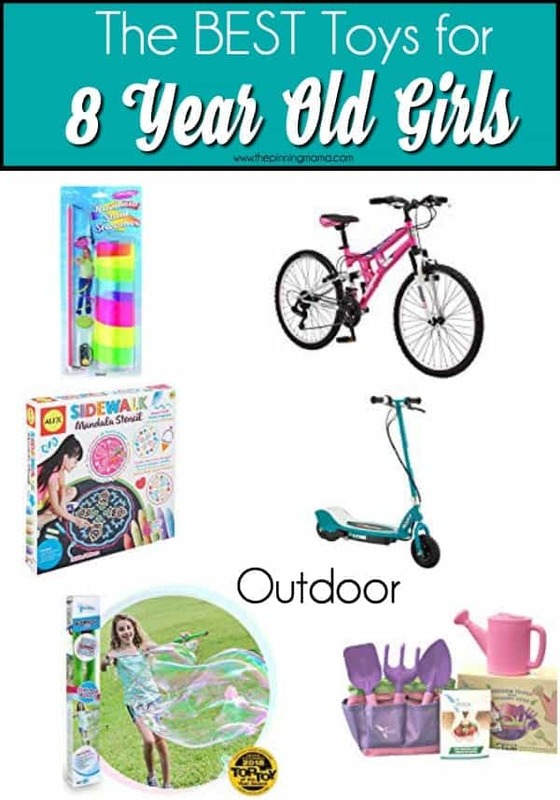 My daughter loves to be outside so I’m always searching for the best toys for outside play. The weather here is really warming up and my kids have spent almost the whole day outside. One of my daughters favorites in this list is her bike. She loves riding bikes and we love riding them as a family now that my kids can all ride on their own. Purchasing a good bike will be beneficial in the long run because it will last for a long time and they can grow with the bike. I hope you have found a few toys that spark the interest of your daughter in this list. I try to add a variety of things to fit everyone’s needs. 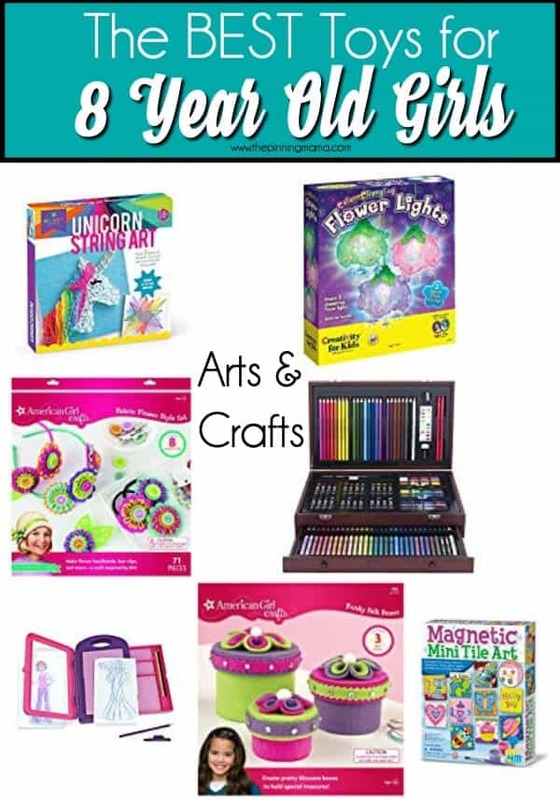 If your are looking for additional gifts check out my Best Gifts for 8 Year Old Girls. If you have any additional toys to add for 8 year old girls please comment below, I love to hear from my readers.